Kid friendliness: high chairs available and room for strollers. It's kind of a strange, but happy sight to see the bright California Pizza Kitchen sign in Taipei. 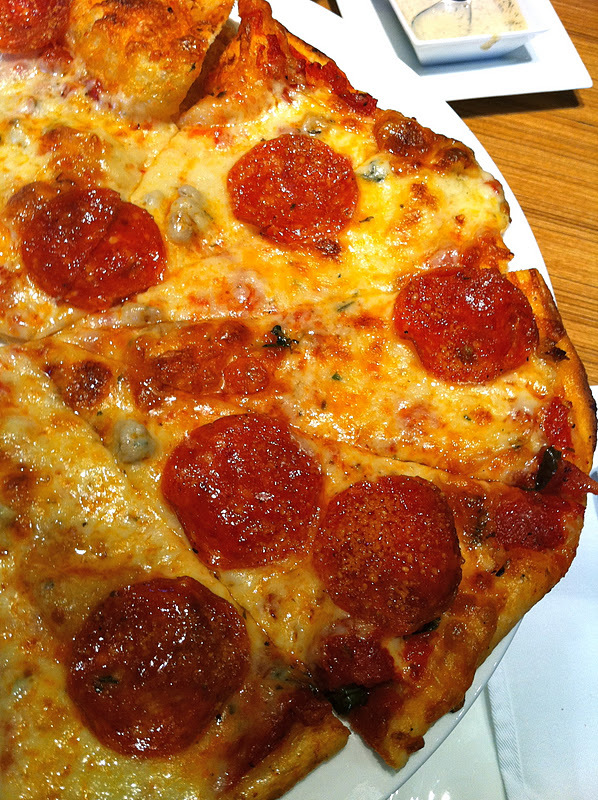 Tucked in the back of the Xinyi Vieshow food court, CPK Taipei just opened a few months ago in December to immediate packed tables. 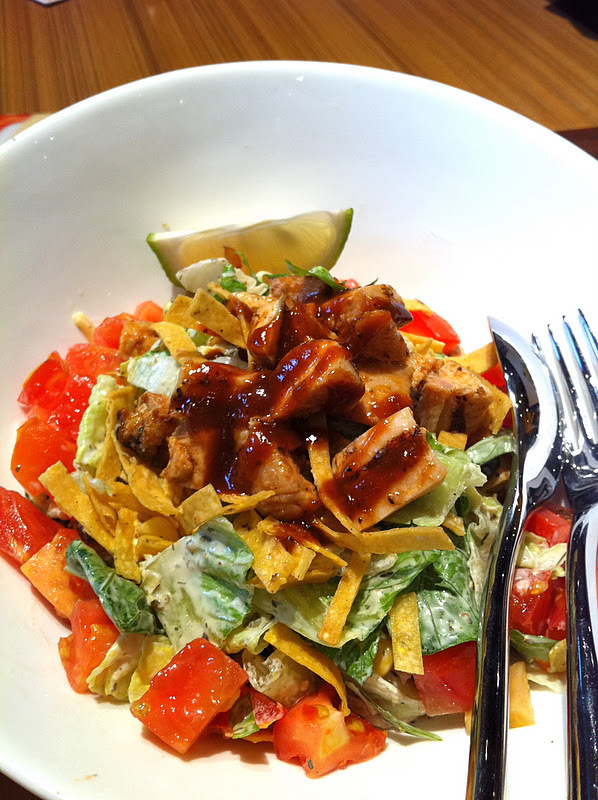 With most of its signature menu items transported from the states, California Pizza Kitchen serves up Cali style salads, pizzas and pastas that will surely draw from the Chili's and Gordon Biersch crowd in the area, as well as the Vieshow movie goers, and those who have been missing CPK (and a good salad!) from back home. The inside is bright and familiar, with a semi open kitchen and seating good for large groups or couples. 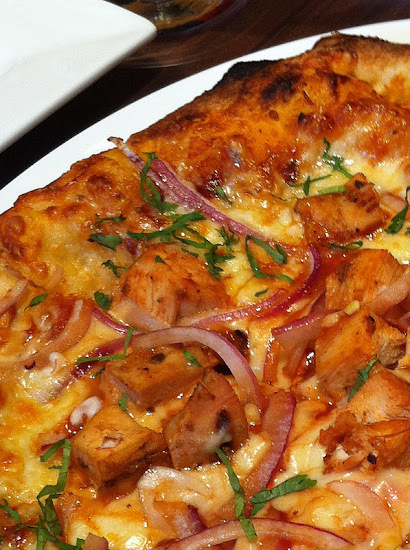 For those not familiar with California Pizza Kitchen, their food is a California twist on Italian pizzas and pastas. In Taipei, it seems to even more fusion with certain dishes like a dessert pizza with tapioca boba on it, or more recently spotted a fried oyster pizza. 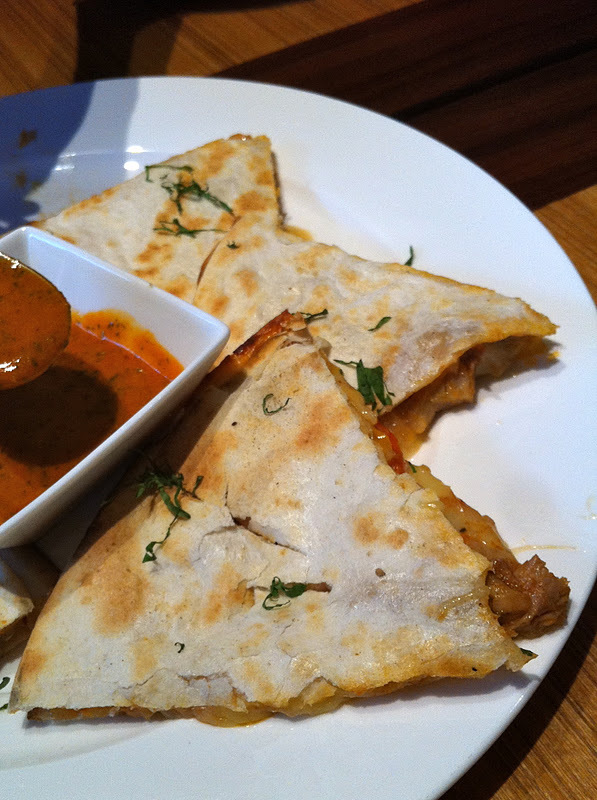 Luckily, most of their signature dishes escape local tweaking. 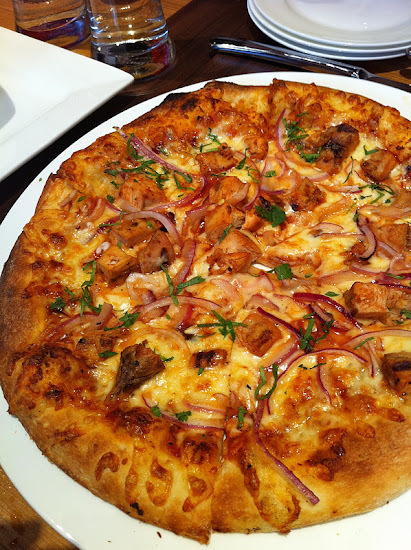 There are two types of pizza on the menu- their regular crust, which is slightly more doughy and sweet, and the thin crust, which has a nice crunch without being too delicate or dry. The pizzas are gourmet sized, meaning that they can be finished by one or two hungry people, or shared family style so everyone can try different slices. I've been there at least once a month (sometimes twice) since it first opened and I'm happy to say that both the food and service have improved with each visit. During the soft opening, I complained noted that the salads were too small and my favorite thin crust Sicilian pizza (NT$480) was too salty (and on my second visit, too bare) and that we had to ask for water to our thirsty table five times. They've been figuring out where to source certain ingredients like the ham locally and how to work the tables and kitchen when they are slammed during prime dining hours, and on my most recent visit last week, it seems like they've found the sweet spot. 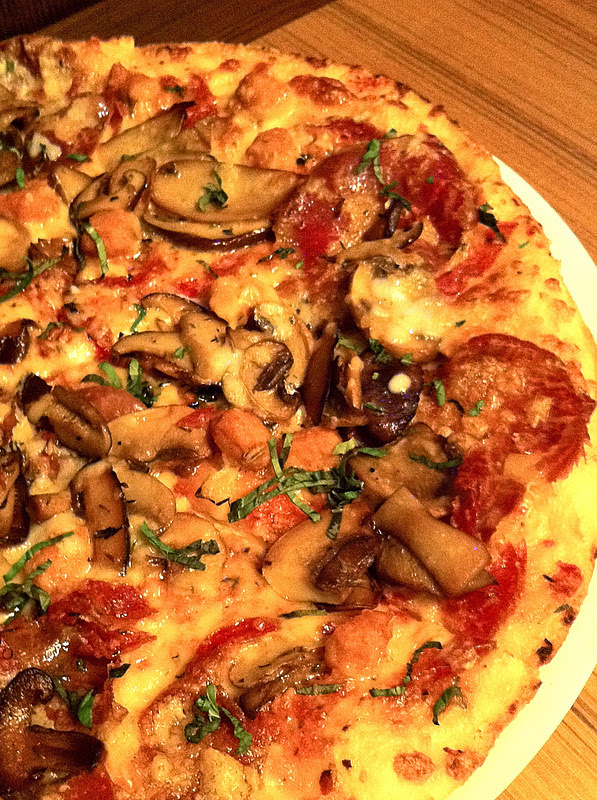 The Sicilian pizza has a mix of spicy ham, Italian sausage and salami and sometimes I add mushrooms to it. The BBQ chopped salad (NT$320) is one of my favorites from LA, and CPK Taipei's version is definitely one of the smaller salads for the price compared to the big plates you'd get at other Western Chain Restaurants. The main problem I have had with the salad on the past few visits is that the black beans were quite hard, maybe they weren't boiled long enough? And that it's missing jicama and corn. I complained to them about the sizes on my first few visits and I spotted it last week at another table and it seems to have gotten bigger, which it needs to be for the price. 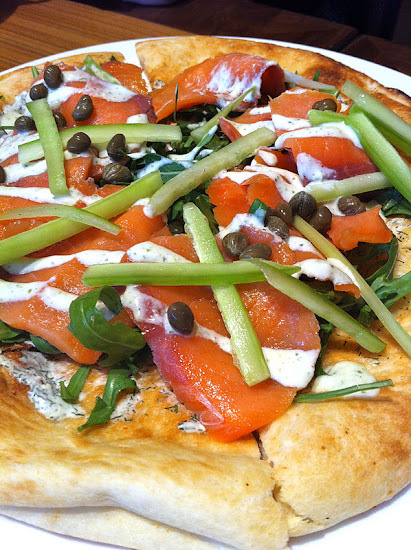 My favorite pizza these days has been the Pear and Gorgonzola pizza which is the best value for your dollar with a nice size serving of greens on top of a thin crust pizza with a sweetness from the baked pears. Or you could try the California Club pizza which is another salad on top of a pizza. 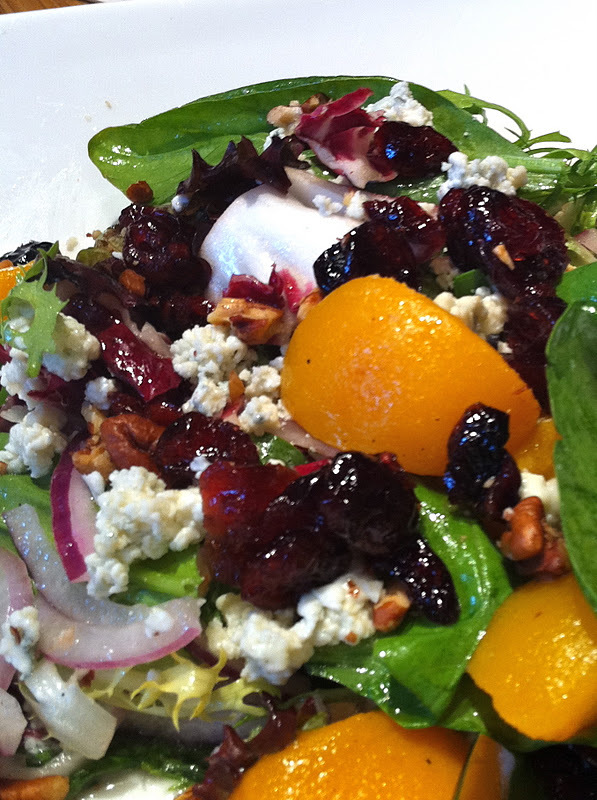 Liked the Carmelized peach salad more than when I tried it in LA, which also has dried cranberries, goat cheese and walnuts. 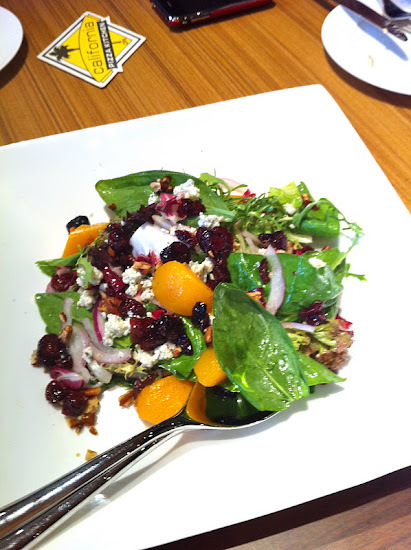 Wasn't a fan of the CPK Taipei version of the Cobb salad- as much as I love beets, it doesn't really belong in a Cobb and there should be chopped avocado. I also didn't care for the appetizers that I tried in December and haven't ordered them since then, so not sure if they've gotten better. 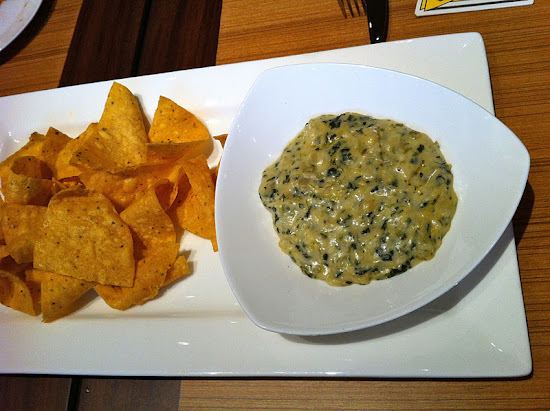 The spinach and artichoke dip (NT$250) seemed to be lacking spinach and something seemed very creamy but not cheesy. I wouldn't order any of the appetizers again. If you have to order one pasta from the menu, get the tequila lime chicken fettucine. 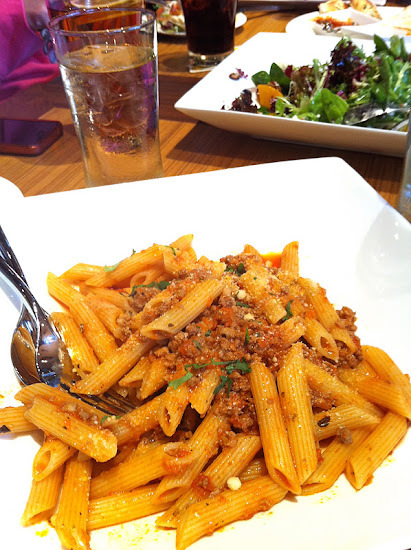 It's got a nice kick and twang to it and my favorite pasta at CPK. I remember when I first ordered it at a work lunch when I used to work in Manhattan Beach and I was addicted. 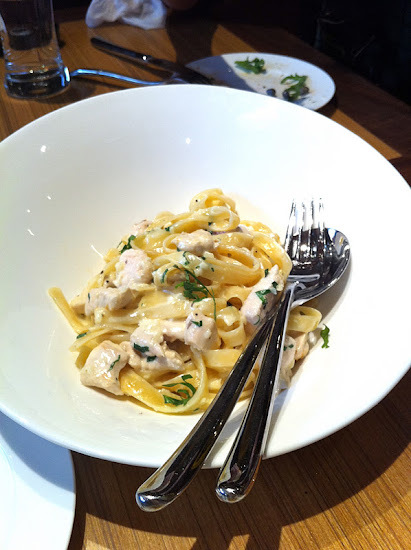 Most of my friends had it for the first time at this lunch and it was their favorite pasta as well. 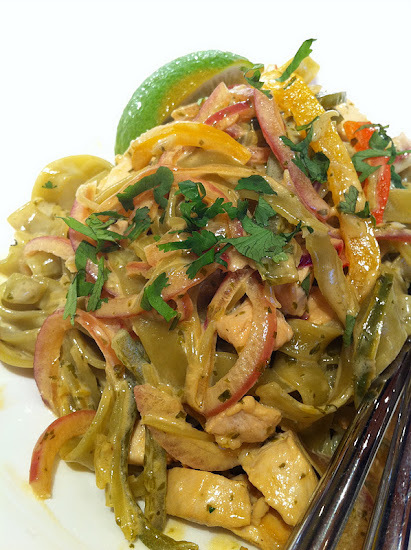 The other pastas won't have as much unique flavor in contrast, but the bolognese penne or fettucine alfredo with chicken could be a good option for kids. CPK is known for quite a few of their fusion pizzas. 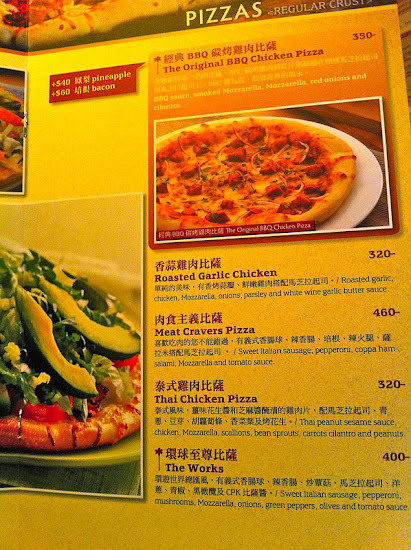 While Tandoori chicken didn't make its way back to Taipei, many of the Chinese themed ones did. 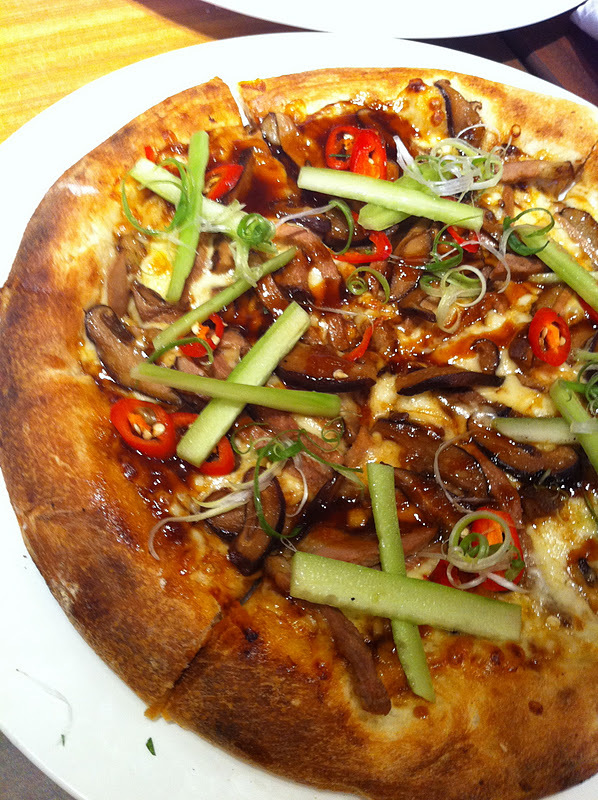 Our table was not a fan of the Peking duck pizza (NT$380) with the gooey sauce and strange combination of toppings, and left it mostly uneaten. or even good old pepperoni pizza. 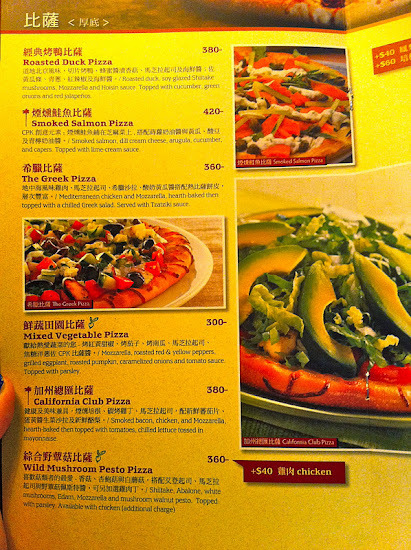 I was so happy to hear that CPK was going to be in Taipei, and happy that the result is similar to what you'd find in the states. A lot of good memories for me eating there over the years with friends in Manhattan Beach, Tustin, Redondo Beach and West LA, and now Taipei. When the weather gets warmer, I can imagine the first floor patio seating will also get popular. 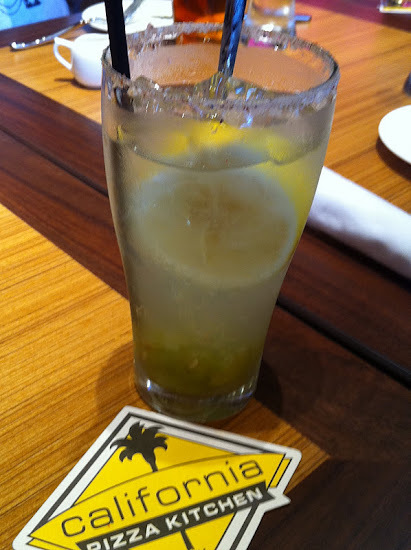 Who would have thought when I first started this blog that there'd be a CPK here? Not me! What's next? Cheesecake Factory? Krispy Kreme? When I order pizza I always never sure what kind can't make up mind. Which one is the best to order from California Pizza Kitchen? With a large menu I get overwhelm what to get. I am quite curious what a desert pizza with boba tastes like @_@. 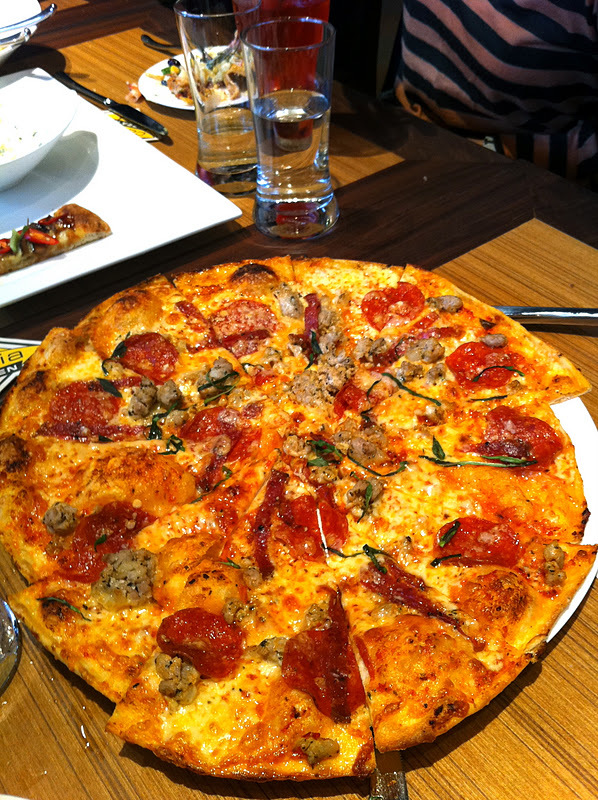 I loved the California Pizza Kitchen when I was living in Cali!! I'm so sad I missed it's opening in Taiwan. =__= I always ordered the spinach and artichoke dip and it still ranks as one of my favourites. Seeing your photos and reaction to it in Taipei makes me a little disappointed. =( At least they got the pizzas down! =D Happy Eating!! 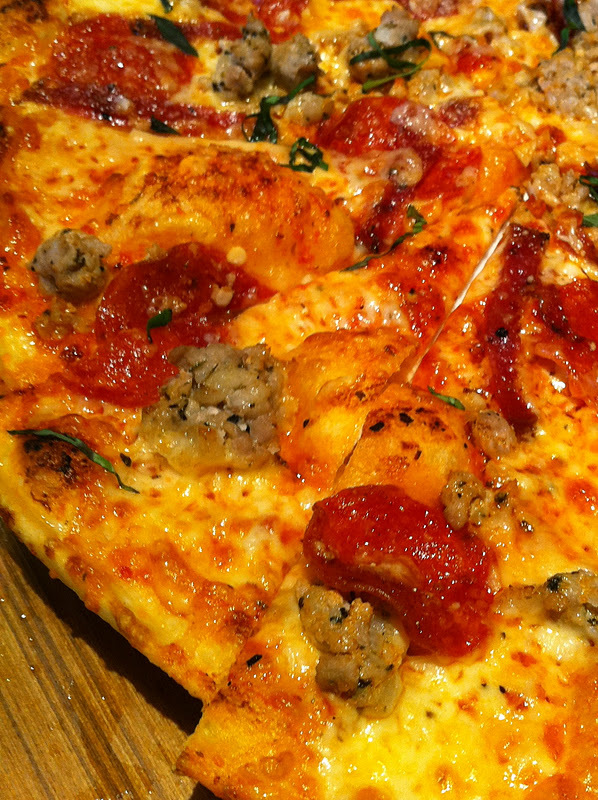 I like Sicilian pizza, as I am kind offond of the spicy tastes. But I like Pepperoni, as well. Actually it is really hard to think of someone that doesn't really like pizza. Really wish that the Taipei CPK would take a cue from Hong Kong. 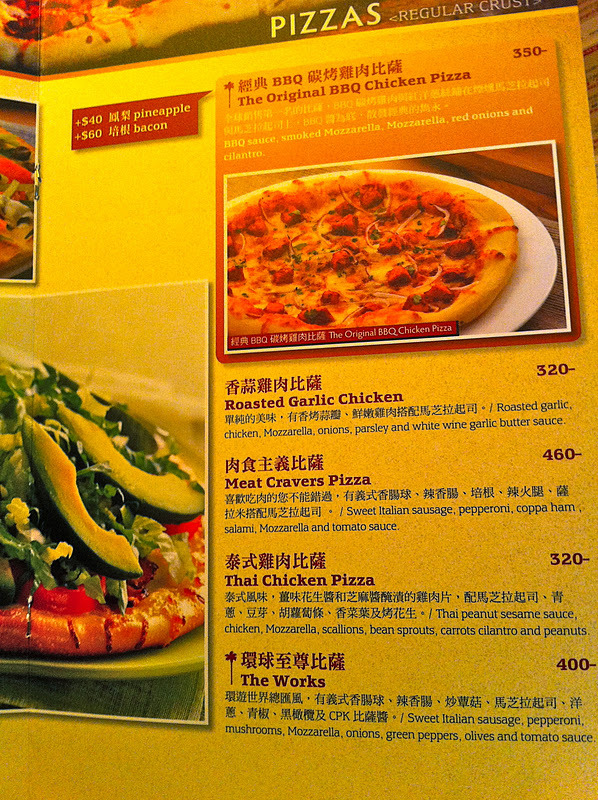 The sizes of the pizzas and the salads are JUST RIGHT in HK, but lacking here in Taipei. No kids menu leave a lot to be desired for families, and you couldn't beat the lunch sets that Hong Kong offers. 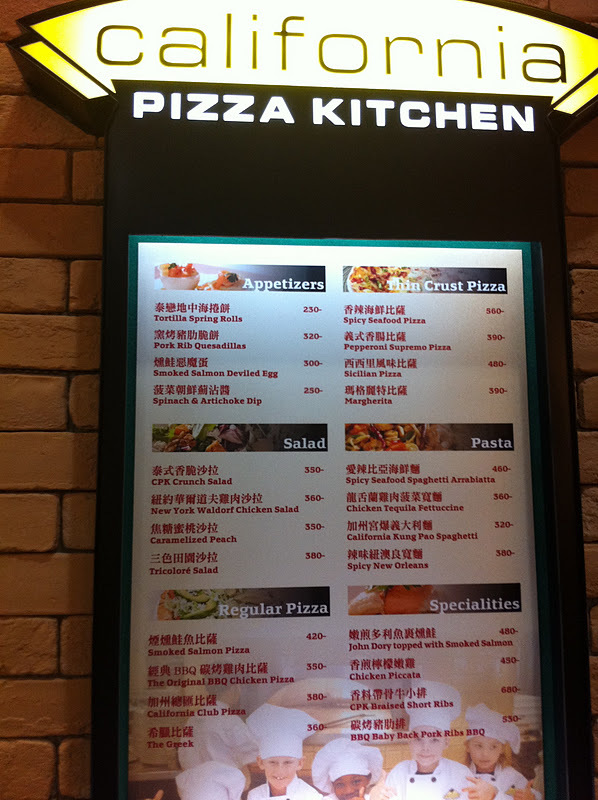 This is my second restaurant that I visited often when I lived in Hong Kong that has left me missing home more and more (Fat Angelos is the other). That looks pretty good! Wish I'd known of this place when I was living in Taipei - although the prices are a little higher than we were used to paying. P'raps I'll look it up next time we're there. Shame I didn't know of your blog 2 years ago. I haven't ate here since I was in Florida many years ago. They have some good pizza.